Before you throw out those eggs that have passed their “best by” date, ask yourself if you know what exactly that label means. NPQ has written about the massive issue of food waste before. In the United States alone, 40 percent of food, equaling $165 billion, is thrown out or wasted, and some of that loss could have been prevented through basic education about food expiration, or a change in food labels altogether. A coalition of lawmakers, advocates, and industry groups is campaigning to clarify and “standardize” food labels through the Food Date Labeling Act, introduced by Representative Chellie Pingree (D-ME). Sen. Richard Blumenthal (D-CT) has introduced companion legislation in the Senate. “One of the most common arguments people seem to have at home is about whether or not food should be thrown out just because the date on the label has passed. It’s time to settle that argument, end the confusion and stop throwing away perfectly good food,” said Pingree. According to research in Europe and Britain cited by Food Safety News, food labels create confusion and cause about 20 percent of food waste. Food manufacturers create the labels, but, depending on the product, the labels often don’t in fact pertain to the safety of the food. Rather, they refer to the optimal taste of the product, misleading consumers into believing their food is unsafe to eat once it passes that “use by” date. According to the bill, in the United States, the labels cause up to 90 percent of individuals to throw out edible food. 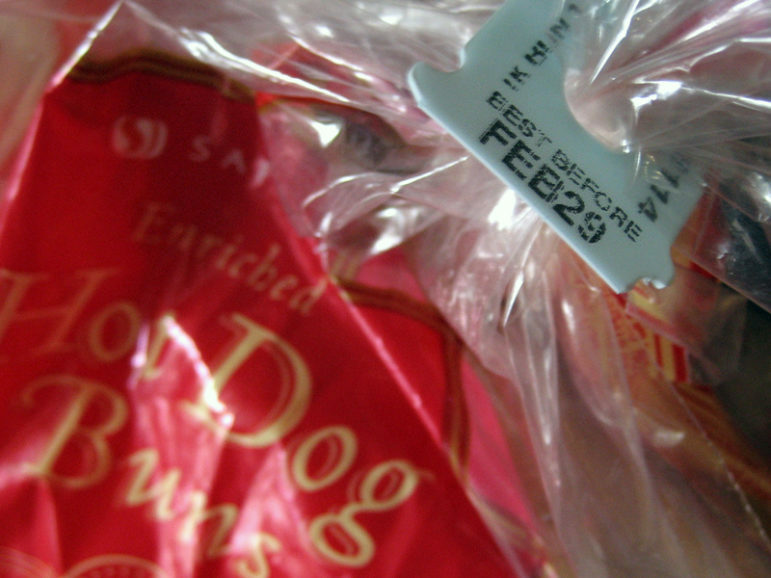 One consumer may understand a “best by” date as meaning a product expires after that date, while another may interpret the label as a soft cut-off point. Many consumers treat all such phrases as expiration dates. In an interview with the Christian Science Monitor, Sally Greenberg, the executive director of the advocacy group, National Consumers League, said, “Many consumers believe that…it’s a federal government label, and it’s actually a manufacturer label dealing with optimal freshness, or maybe optimal taste.” Greenberg’s group is part of the coalition supporting the act. Under the proposed legislation, this variety of verbiage would be replaced with uniform phrases on food packaging. One would be a voluntary “quality date”; the item within is “best if used by” that date, but is still acceptable for consumption afterward, even if the quality of the product has begun to deteriorate. A product would also have a “safety date” to serve as an official warning that consuming the product after this date would be harmful.